Head coach Karen Atkinson says a top-four finish in the Netball Superleague will be the bare minimum expected of Loughborough Lightning next season. The Lightning finished sixth in 2015, 12 points outside the play-off places. "I've told the girls already that standards are going to rise and expectations are higher," Atkinson told BBC Radio Leicester. "We're not here to just take part, we're here to push ourselves as far as we can possibly get." 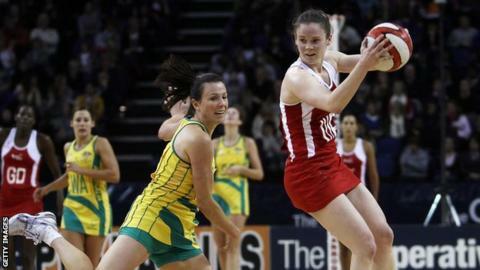 Lightning have recruited England internationals Jade Clarke and Sasha Corbin ahead of the 2016 season, which gets under way on 30 January. Surrey Storm were crowned 2015 champions in April after beating Hertfordshire Mavericks in the final. "We've only really just started our pre-season," Atkinson added. "The bare minimum for me, with the type of players we are bringing in, will be a top four finish and then see where we go from there."